NASA astronaut launches new Angry Birds game – from space! 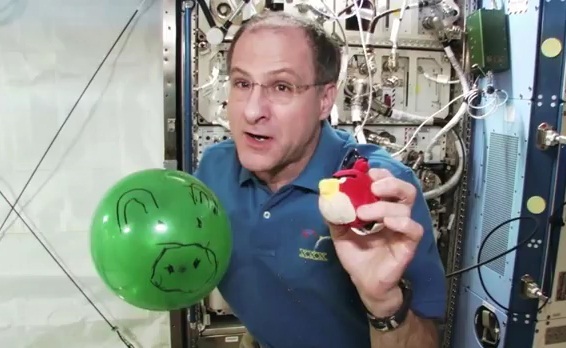 To launch the new Angry Birds Space game, Rovio has only gone and got NASA astronaut Don Pettit to explain the physics behind the new game. From 242.5 miles ABOVE the earth's surface. demonstrates the physics of the new game by using a plush Red Bird and an orbital slingshot. I can't even begin to imagine how Rovio's PR team went about sorting out this stunt, but hats off, it's incredible. 2 comments on NASA astronaut launches new Angry Birds game – from space!